The maize is gently air-dried in a drying plant and mechanically cleaned of any impurities; it is then separated from the germ and husk in a maize mill and broken into even-sized pieces. The flakes are produced by a traditional cooking process, dried, rolled out into tender flakes and roasted. 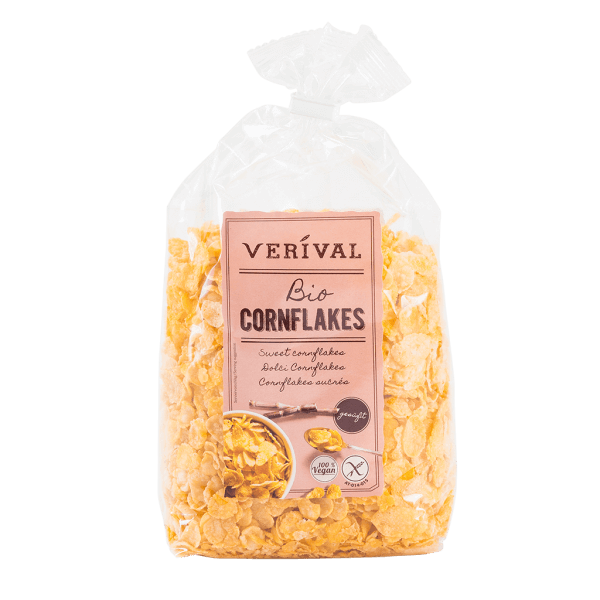 It is only through this elaborate process that the flakes develop their full and incomparable flavour. They are not made by extrusion! (A moulding process where dough is forced under high pressure into the shapes required). Take with milk or even fresh fruit – the perfect complement to a balanced breakfast. Just out: Now with only 5% sugar included! Corn* 94%,beet sugar* 5%, salt 1%.